If you're looking for a comprehensive tiling service in Brinsmead, you need to get in touch with Adams Tiling Service today. Our hardworking team can handle everything from stonework and waterproofing to design and consultations, and pride ourselves on providing both quality products and friendly service. With more than 20 years of experience, we service both domestic and commercial clients from Gordonvale to Port Douglas. Adam Painter, our owner operator, takes a hands-on approach to each and every one of our projects, allowing us to provide a personalised service to all of our clients. Making use of a wide variety of quality materials, including ceramic, glass, granite, marble, porcelain, sandstone, slate, concrete, and stone, we provide a comprehensive range of efficient and effective tiling solutions, including: Bathroom renovations Waterproofing Stone work Swimming pools Consultations Expert design and advice Our clients know that they can depend on us to provide high-quality workmanship on every job that we undertake. We are very proud of our fantastic reputation and have great working relationships with trusted local contractors, including DC Tiling, Neater homes, Wedmaier homes. With over 20 years of experience in the trade, Adams Tiling Service takes pride in being Brinsmead's first choice for tiling, waterproofing, bathroom renovations and more. We handle all kinds of jobs, big and small, for both commercial and domestic clients from Gordonvale to Port Douglas. We offer a 24-hour service by appointment and go out of our way to deliver the best possible end results. Nothing is more important to us than the complete satisfaction of our clients, and so we make a point of offering friendly service and quality products, as well as onsite inspections and free quotes. OWN HOME DESIGN is a GreenSmart professional business. We understand the environment on the Atherton Tablelands - working with it, rather than against it. Your home can be designed environmentally sustainable to suit our conditions. Recommending lightweight construction using timber and/or steel in preference to concrete block, we can offer advice on the use of materials to design a home that is comfortable and healthy to live in. 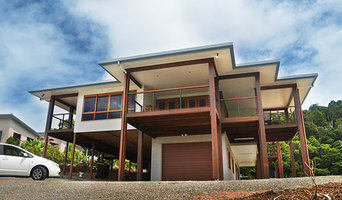 A sustainable house on the Tablelands does not require airconditioning in summer and only a small amount of heating in winter. We know when we can expect the rain and where it is likely to come from. We have a fair idea of how hot it will be in summer and how cold in winter. We know where the sun rises and where it sets, we know it shifts to the North in winter. So, we can use this basic knowledge to apply some basic design principles to position of a house so that you work with nature: shutting the heat of the sun out in summer and welcoming it in winter. Put in some windows to capture the breeze - cooling your home without inviting the mildew in with the rain. From sweltering heat in the middle of a summer day, to crisp cool mornings in winter, the Atherton Tablelands has variable conditions. Endless drizzle and unrelenting south-easterly winds can change to magical clear skies and fresh air before the day is out. But we escape the muggy coastal heat and the lowland flooding and farmers welcome the rain each year. We know what we can expect from the weather, so we can work with it rather than against it when designing our homes. Innovatile has been working with the best bathroom specialist of the industry and create a great reputation around Cairns region. Smarthomes will design, install and support all aspects of your intelligent home systems; from lighting control, multi-room music, home cinema, security systems including CCTV and gate entry, telephony & IT provision through to the complete electrical design and installation. With an eye for aesthetics and a practical approach to layout and design, Cairns, Queensland bathroom designers and renovators can help you create a well-planned space that suits both your needs and personal preferences. 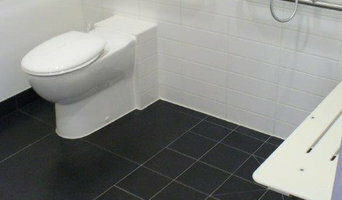 Many bathroom renovators in Cairns, Queensland offer a full-design service, from concept to completion. This includes accessing the homeowner’s wants and needs to ensure they provide a functional layout and design that is also attractive and blends in with the rest of the home. In addition, designers have a wealth of knowledge in product trends, materials and finishes, and can take the hassle out of deciding upon and sourcing accessories and hardware. Find a bathroom renovator on Houzz. Scroll through this page to find the best bathroom renovators in Cairns, Queensland. Browse photos to see how their work compares to the scope of your project, read reviews to see how others rate their work, and message them directly to to ask any specific questions.